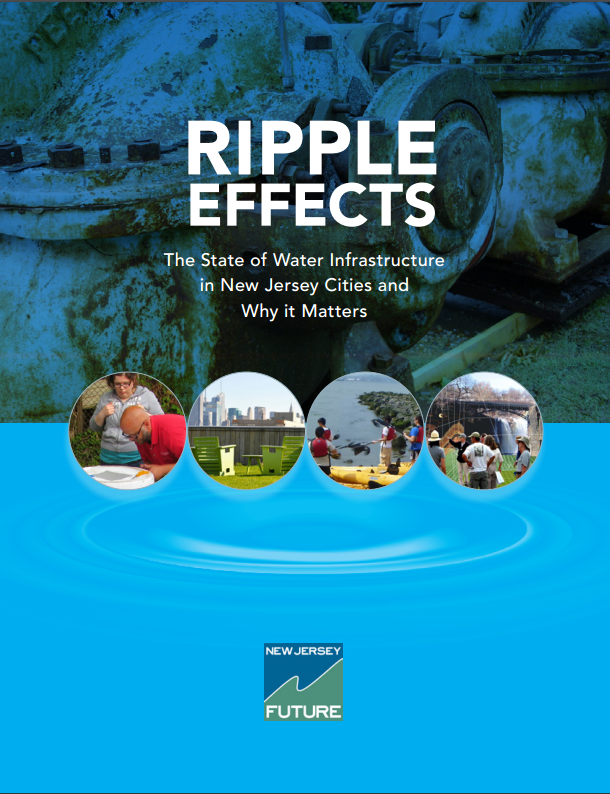 New Jersey’s cities and towns face a multi-billion-dollar price-tag to fix drinking water, wastewater and stormwater infrastructure. The cost of not fixing them will be even higher. Strong communities depend upon reliable water infrastructure. Every resident and business in New Jersey deserves safe drinking water, clean rivers, and flood-free neighborhoods. 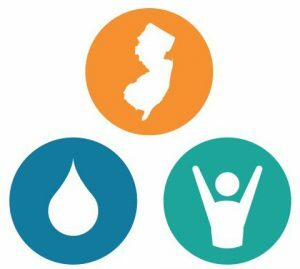 The growing New Jersey Future water team is working to transform the state’s drinking water, wastewater and stormwater systems through a multi-pronged approach to engage people, change state policy, and foster innovation. For more information on New Jersey Future’s work in this area, please contact Managing Director for Policy and Water Chris Sturm (csturm njfuture org) , or any of the individual program leads noted below. 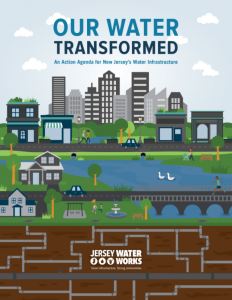 Jersey Water Works is a cross-sector collaborative focused on transforming New Jersey’s inadequate urban water infrastructure by investing in sustainable, cost-effective solutions that provide communities with clean water and waterways; healthier, safer neighborhoods; local jobs; flood and climate resilience; and economic growth. The collaborative has convened a Lead in Drinking Water Task Force to develop a practical, broadly supported agenda for eliminating lead in drinking water. The collaborative is creating a robust, transparent system of performance metrics designed to accelerate improvements to water infrastructure. New Jersey Future provides backbone staff support to the Jersey Water Works collaborative as well as serving on its Steering Committee. For more information or to join the collaborative, please contact Program Manager Ed DiFiglia (edifiglia njfuture org) . Green Infrastructure Municipal Toolkit is an online resource to help municipalities plan, implement and sustain green infrastructure. Developer’s Green Infrastructure Guide is an online and printed information resource, produced in collaboration with the New Jersey Builders Association, to facilitate the inclusion of green infrastructure in private-sector developments. 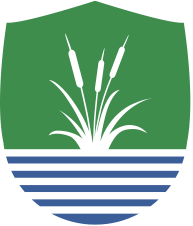 For more information on the Mainstreaming Green Infrastructure program please contact Green Infrastructure Director Louise Wilson (lwilson njfuture org) . 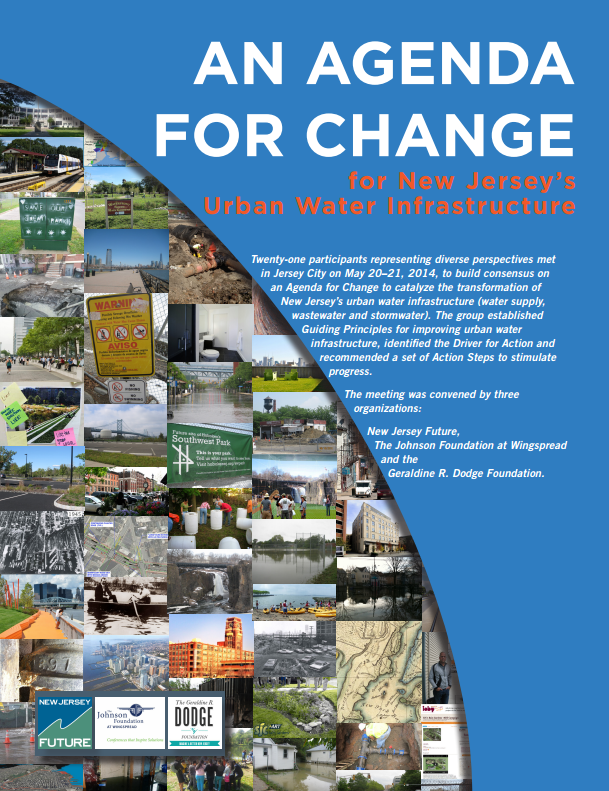 New Jersey Future coordinates Sewage-Free Streets and Rivers, an action-oriented campaign in communities with combined sewer systems to to empower community organizations to engage residents and small business owners to shape the solutions that will be adopted in July 2020 to reduce localized flooding and the raw sewage dumped into our waterways. We also convene a peer support network for our partners working in other CSO cities. For more information or to join the Sewage-Free Streets and Rivers campaign, please contact Community Outreach Manager Mo Kinberg (mkinberg njfuture org) . 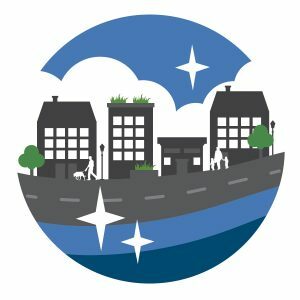 New Jersey Future is working with the Rutgers Water Resources Program and Isles Inc. to pilot a community-based initiative addressing environmental health issues through the implementation of green infrastructure demonstration projects in the City of Trenton. New Jersey Future’s role is to help facilitate the Trenton municipal action team and to work with the city to review and recommend changes to its stormwater ordinance. For more information, please contact Planning and Policy Manager Kandyce Perry (kperry njfuture org) . New Jersey Future has provided technical assistance to the City of Newark on stormwater management and green infrastructure as the city prepares its combined sewer system upgrade plan. We organized study trips for city staff to Philadelphia and Buffalo; and helped staff integrate green infrastructure into city capital projects and private development, and advance green infrastructure demonstration projects. We also work with local partners to develop and promote consistent messaging on green stormwater management. For more information, please contact Green Infrastructure Director Louise Wilson (lwilson njfuture org) . 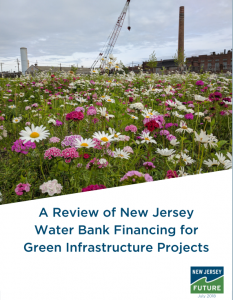 New Jersey Future has worked with the New Jersey Water Bank to make it easier for cities to gain access to funding for green infrastructure projects that resolve combined sewer overflows. We are helping two cities advance through the funding process; we have prepared a user-friendly applicant’s guide; and have published a white paper that highlights program successes, identifies successful policies, and recommends strategies for applicants This work builds on our Build It Green initiative. For more information, please contact Managing Director, Policy and Water Chris Sturm (csturm njfuture org) . Can We Depend on Our Water Infrastructure?